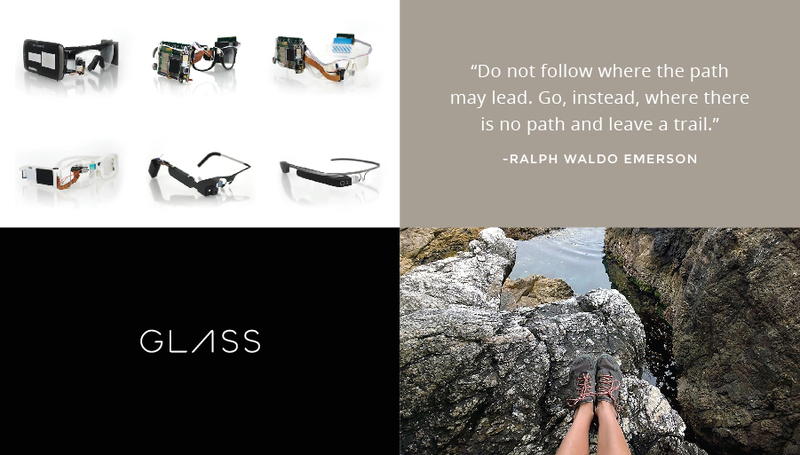 As Google iterates on Glass (whether the iterations contain Intel chips or not), the Glass team is becoming its own team at Google outside Google[x]. 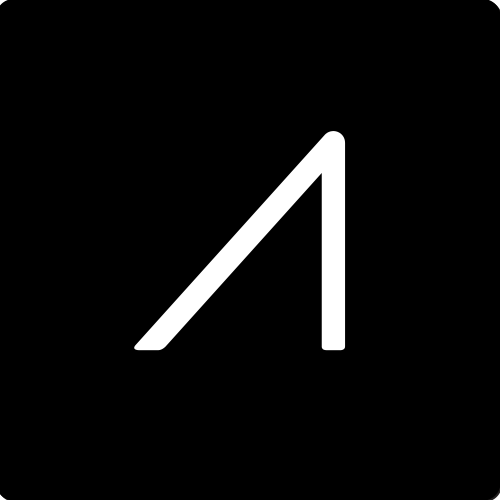 According to Fortune, the group will report to Tony Fadell moving forward, while still being led by Ivy Ross. 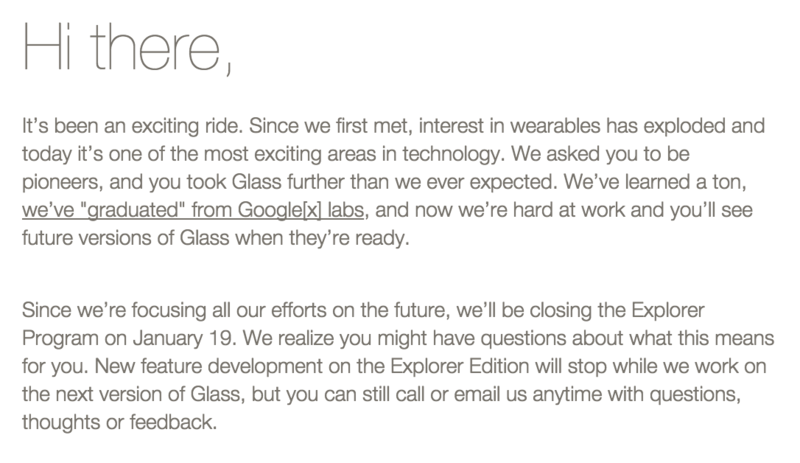 The Glass team doesn't give many additional details, but notes that this is an exciting move for the project, bringing us closer to "future versions of Glass." 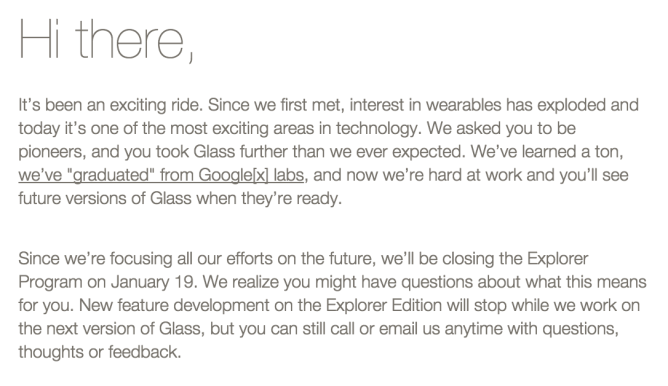 Update: In an email going out to explorers, the Glass team notes that new feature development will be ceasing for Explorer Edition while the team works on the next version of Glass. Of course support will still be available for those who need it. Google has also put together a collection of photos and stories from Glass' early days which can be found here.